Rey's offers a large, private lot with over 100 parking spaces. Valet available most weekends. 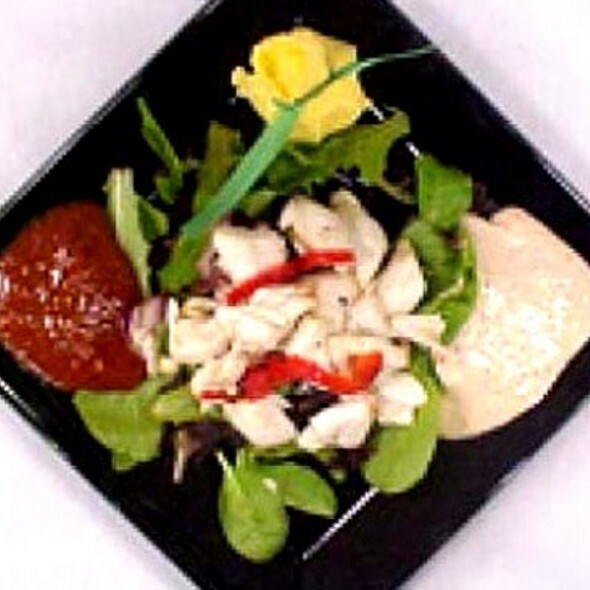 Rey's will customize & accommodate your catering needs. Please call (919) 380-0122 for details. 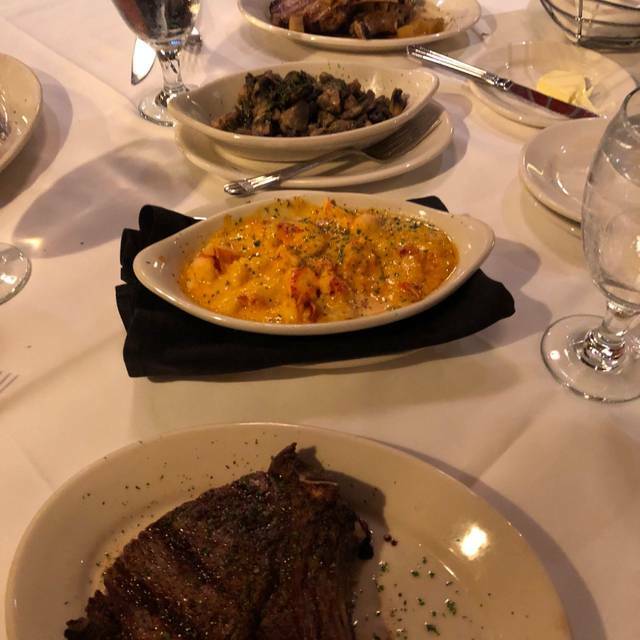 Rey's is an upscale, fine dining, steak house featuring spectacular food & exceptional service with a hint of New Orleans / French Quarter "Flare." The comfortable ambiance and affordable prices are sure to please. Five Private dining rooms available for 6 - 200 guests. Gorgeous new courtyard for outdoor dining, weddings, social events or al fresco dining. We had a great dinner there. We are “regulars” you might say and eat at Rey’s about once every month or so. 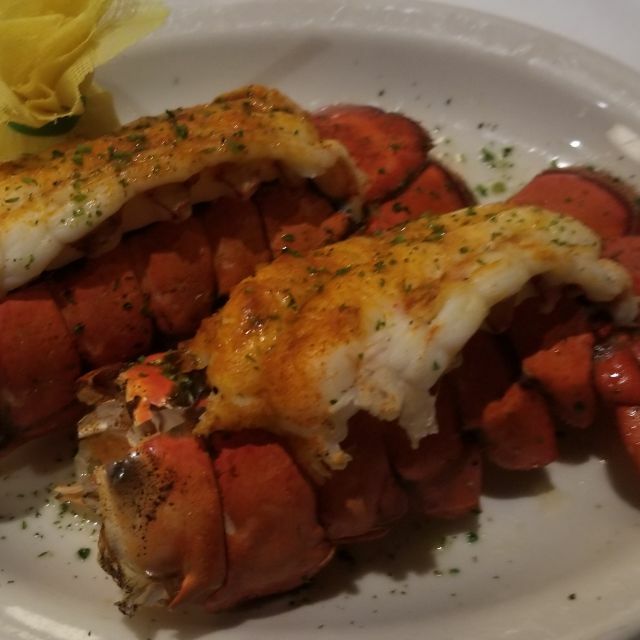 The food is consistently great and the service is always attentive. 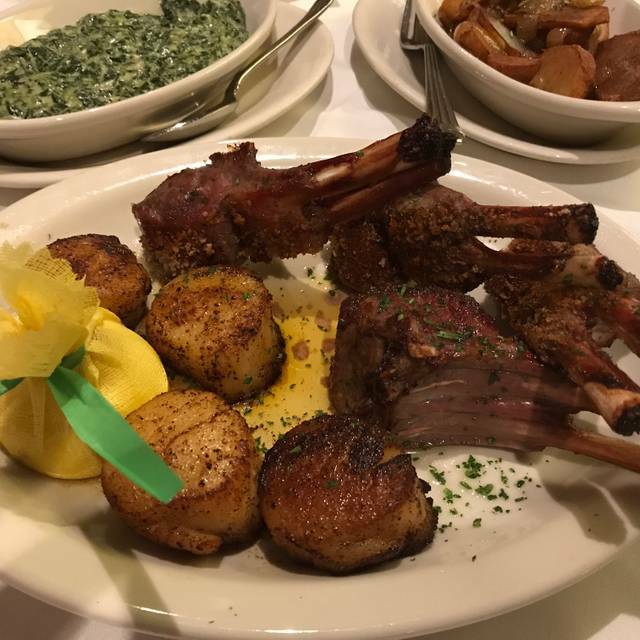 It’s one of very few restaurants in the area where you can enjoy fine dining in a relatively quiet and relaxing atmosphere. Great food backed up by good service and attentive staff at all times. 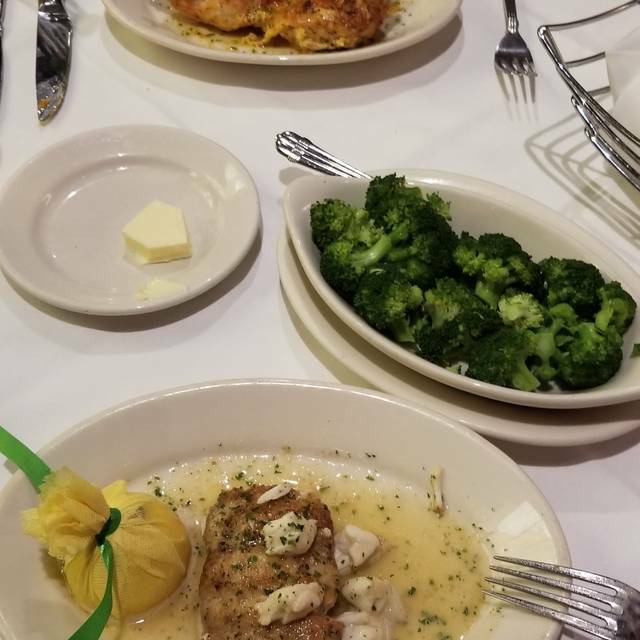 Highly recommended steaks, grouper and tuna steaks with 3 shareable sides for 4 people. Absolutely the best in the triangle. From wine to steak to truffles, this is the only true fine dining I've seen in the area. Fantastic service and choice of food. Restaurant was bigger than I expected. Great place for all occasions! Food was excellant as always. Service is impeccable. Rey's staff goes above and beyond to make your meal a dining experience. Always a treat. Excellent food, superb service, nice ambiance. Excellent service, great food, and had an awesome setting for our anniversary dinner. Decent food, great service, but the noise level was too loud. Obnoxious table next to us spoiled the experience. Excellent place to celebrate an anniversary. Only minus is that the waiter didn't ask whether it was a special occasion as previous waiters always have. He was probably new. That aside, he was great, as was the entire experience. We went back to Rey’s as last visit was positive, this visit we were disappointed with the food. 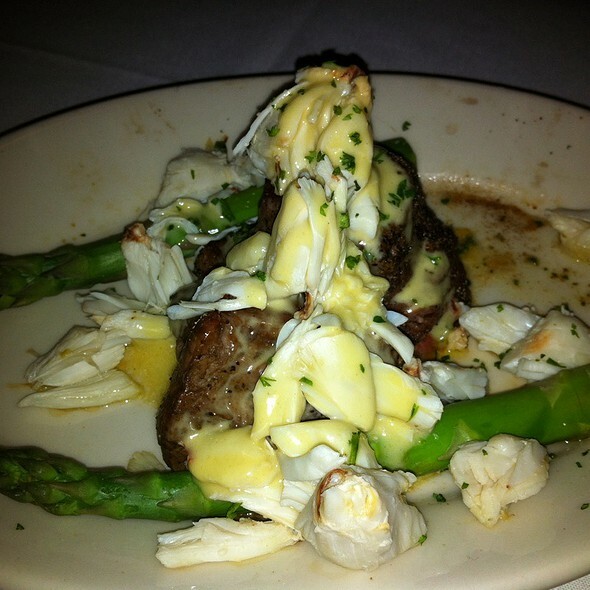 It wasn’t bad but it wasn’t great either so for the price I paid I will go back to Ruth Chris’ for my next good steak. The steaks were not as tender or flavorful as I’d recalled or expected. Our server was kind and helpful and even gave me a free birthday dessert which was a nice touch. Our anniversary dinner was made more special by our night at Rey's. Dinner was delicious! Christie and David took great care of us! Our table was cozy! Just overall a beautiful night! Thank you, Rey's! Our anniversary is Sunday April 7 and your restaurant isn’t open that day. So we reserved a table for two for April 5th for our Anniversary dinner. It was really nice! Food was amazing and the server was very attentive. From the host and hostess to the waiter I am very glad that we chose Rey’s! I can’t think of any restaurant where the owner walks around the dining room, greets every customer and ensures your meal is perfect. For this reason, I will definitely be back! Food was better than Angus Barn. Great service. Great ambiance. We've eaten here often. In fact back a second time in a week. We sat in the lounge and it was a little loud for a Tuesday but no big deal. The level of service was a big deal. 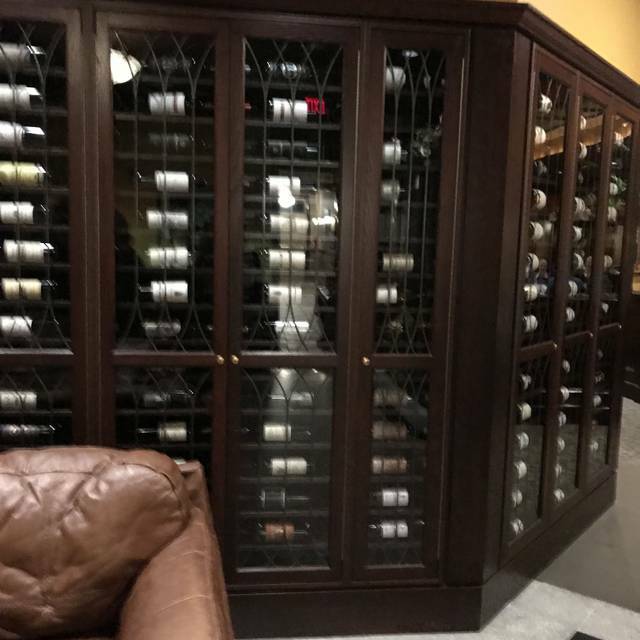 Our waiter was hard to find, didn't chill the wine and didn't bring an ice bucket until several requests. We were given a free dessert to compensate. Unfortunately it was my husband's birthday and we left disappointed. Great service, the food was almost as good as the service!! Wonderful evening and the food was out of this world fabulous. The chardonnay we ordered wasn't chilled, but we had it put on ice and we made it work. We will be back soon! Excellent night all around! We would recommend Rey's to anyone. I've been going to Rey's almost 2 years now and everytime I go, the food is always amazing. 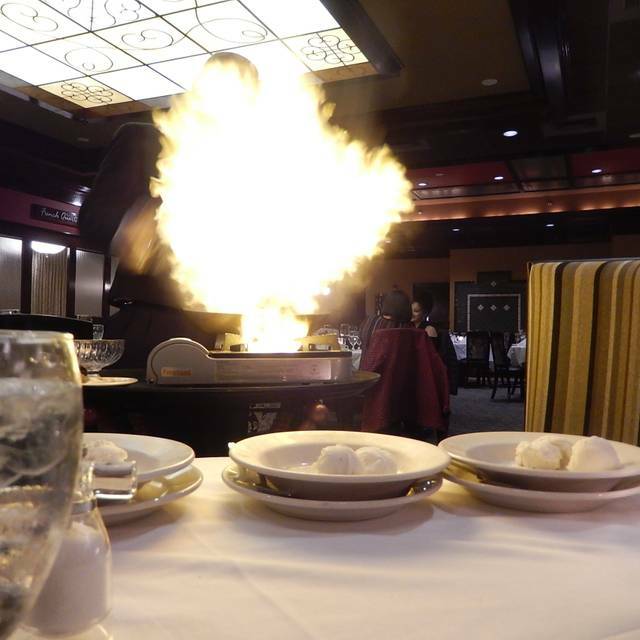 The staff is always knowledgeable about the food and very friendly. I've met Rey a few times and he's a very nice guy. I recommend this place to everyone that asks about good food, nice environment, and friendly staff. I've read reviews where some people said it was pricey. I look at it like this, I've traveled the world and I have yet found a steak that tastes as good as Rey's! I couldn't wait to get back home and go to Rey's. The quality of his food is out of this world to the point where you eat the leftovers the next day and the flavor, the juiciness is still there. So yes I don't mind paying for quality. Go to Rey's! We love Rey’s! Great place to celebrate special occasions and awesome place to just hang out at the bar. The food is wonderful and the prices are reasonable for the quality and quantity of food you get. Warning...be sure to save room for dessert. 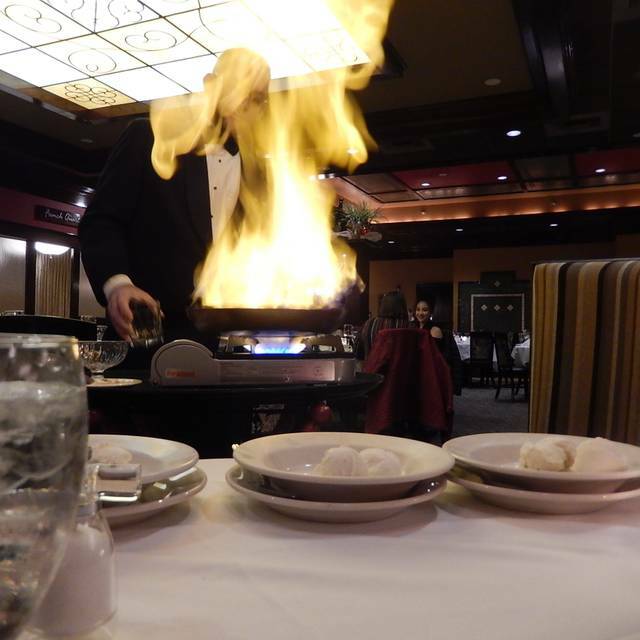 The banana foster is prepared tableside and is fabulous! Our 1st time there, we will be back :-) The food was delish and our waiter was amazing! The food is always outstanding and the staff is so friendly. Wonderful as always. Thank you to Mr Rey and his entire team. We always enjoy ourselves when we come to reys. Knowing that he is there to look over his restaurant and table touches is awesome. The legend behind it all, thank you for the great service and experience. Service, drinks and food.....fantastic. Place has a very homey feel. As always, Rey's is outstanding in every way. We enjoyed a lovely birthday celebration at a restaurant that is always on the top of our list. Rey’s is our favorite restaurant to celebrate special occasions! The food is excellent and the service is first class! Rey's always provides top notch service and food quality. Jim is an excellent server. I could dine here nightly for two weeks and not run out of desirable entree choices. Very nice atmosphere and delicious food! Our server, Dianna, was wonderful! But it depends on who your server is. Our server this time was not very good so our experience was less than desirable. Will think about returning. My fiancé and I went for the first time to celebrate our engagement. It was fantastic. The food was unbelievable. Seasonal martinis were delicious. And our server was wonderful. We will definitely be coming back! Great service , but food was mediocre (chops dry, no taste, fish over cooked)... expensive ... not a good value, even for a special occasion. I would recommend Rey's, however I would suggest asking questions about best preparation for menu items. My spouse and I ordered Bourbon Glazed Pork Chop's with apple raisin chutney. The portion size was well worth the price. You received 2 chops with clean bone prep. We asked for well done, I have to be careful about eating undercooked food. Unfortunately, the meat was tough and dry. The management did ask about our food and we relayed our concerns. At that point, the manager provided complimentary desserts for the table. Other items ordered were very good. I think seafood and possibly steaks are the better choices for this restaurant. I will be trying other upscale restaurants before returning, but would not discourage anyone from trying this one with proper menu item guidance. Note: this was not a server issue. This should have been a recommendation from the cook that the meat would become dry if cooked well done. First time at Rey’s will definitely be back, made us feel welcome from the time we entered the building. Great wait staff and the food was amazing!, prompt service and attentive staff. Best restaurant we’ve been to since Vegas! Great Anniversary Dinner!